The XKG Lone Peak Jacket is the sleek defending outer layer for the XKG System. By providing maximum protection with a fortified tri-laminate shell membrane, form-fitting removable zippered hood, and watertight zippers, this windproof and water resistant piece is defiant against tough punishment. 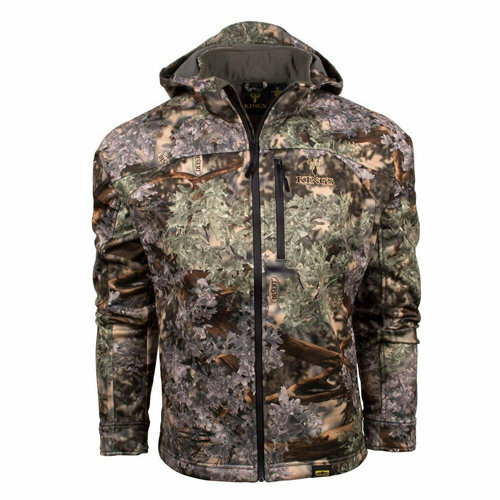 Two-way stretch fabric, neoprene cuffs, elastic drawstring adjustments in the hood and waist, and fleece inner-lining make this jacket fit comfortably when worn alone or with additional insulation. The warm, quiet and lightweight Lone Peak Jacket is available in Desert Shadow®, Mountain Shadow®, and Realtree Edge®, bringing security and style to the outer layer of your XKG System. Realtree Edge® includes treestand harness flap underneath hood.